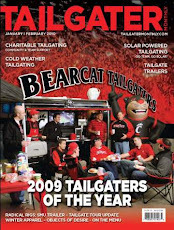 BearcatTailgater.com: The NeumannKy's 1st Annual "Santa Crawl"!!! The NeumannKy's 1st Annual "Santa Crawl"!!! Join your friends, make new ones and celebrate the Holidays as we make our way around to all of your favorite Oakley Establishments and try to raise a few bucks for a good cause. EVERYONE ON THE SANTA CRAWL IS HIGHLY ENCOURAGED TO DRESS AS ONE OF THEIR HOLIDAY FAVORITES (Santa, Mrs. Clause, Elf…etc)! I think I may need to be an elf... Looking forward to it!!! Should be a blast!!!!!!!!! !